HTC One dual SIM is now available in India at ecommerce site for the price of ₹ 46,495 with 1 year warranty. The phone will be delivered in 9-10 business days. HTC One dual SIM has the same specs like HTC One, the only difference is additional SIM slot and a MicroSD card slot. The phone has two SIM slot, SIM 1 support HSPA and SIM 2 support only EDGE. The phone is really for those who looking for high end Smartphone with dual SIM, the dual SIM phones are very popular among Indians but dual SIM functionality is not available in high range phones. HTC One is currently best Android Smartphone in the Market and the added SIM slot and MicroSD card support, it is a welcome move for many. 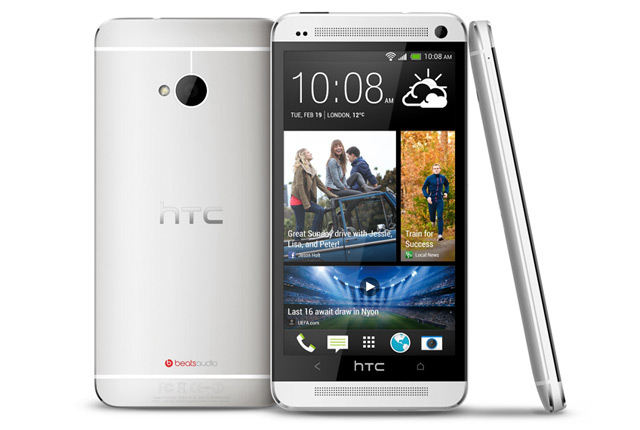 HTC One dual SIM has Dual SIM, HTC UltraPixel camera with HTC Zoe, 2.1 MP front facing camera, 1.7 GHz Quad Core processor, 4.7-inch Full HD 1920 x 1080 pixel display, 2 GB RAM and runs on Android 4.2.2 Jelly Bean. The phone has 32 GB of Internal Storage, 25 GB of Cloud Storage (Dropbox) and MicroSD card slot up to 64 GB. Surely you won’t run out of storage. The phone currently sells on Flipkart with EMI and COD (Cash on Delivery) options.